This story is a little over 25,000 words, or about 90 pages. In addition, the download will include an exclusive teaser of DARK DEBT. Merit and Ethan are in desperate need of some alone time, far from the worries of Cadogan House, but trouble tends to follow wherever they go. Their attempt at a romantic getaway is quickly interrupted when one of Ethan’s vampire friends shows up at their door—covered in blood and accused of killing her shifter husband. Wait, wait, I need more information!!!!!! I’ll go into cardiac arrest before February if I don’t get some info. LOL! i am with you on that one! Love this series, hope it goes on for a long time to come. Can’t wait for the new books. I have so enjoyed reading about Merit and Ethan and all their friends.Hope they continue for a long time yet. I have to agree with Wildchild 1954……I need more information too. I lack patience when it comes to waiting on the next book when the series is excellent. I love this series. It is my favorite. But the question I have is when will we be able to read the first chapter? Really hope that we get to,your biggest fan!!! 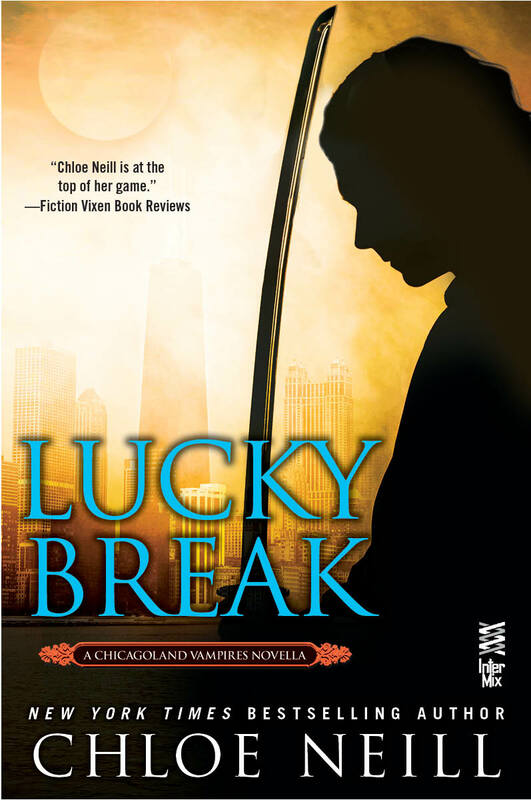 Any idea when we’ll be able to pre-order Lucky Break? It is the best series I have ever read!!!! Seriously I had the worst heart break wen I read Series 10 n found out there is no more “METHAN” adventure!!! eagerly waiting for the other series!!! Christina – 10 isn’t the last book in the CV series. There will be 13 books. Thanks! seriously excited. Love CV books. Can not wait. We need a spin off in Ethans POV, about his past, through his relationship with Merit, and then the future. Chloe, that would be an awesome story to read. Although I’d miss Merit and the gang. I am an avid reader. Have to many to count books. But the Chicagoland Vampires series is by far the best books i have ever read. Can’t get enough. Always pre-order each one. When all is said and done I’m gonna go find my time machine and fast forvard to February. Or prehaps I’m gonna by the 3 books my liberay haven’t got yet and be content with them. Hmmm, what does my bank accunt say? But seriusly, these books are great fun. By the way, I just spent a moment wondering about the “please prove you’re human” thing. Thinking “Cant’ vamps and shifters do math?” So now am feeling a triffel silly. Mirsa – I don’t know if it will be published in paperback in the future, but you don’t need a Kindle or Nook to read it — just a phone or computer. See my FAQ page for more information. Yes , Ethan’s pov in any amount would be welcomed to read! I’m sure it would sell out. I’m heading to amazon right now to pre-order and then try to find something to read to keep me busy. Jumps off the pages and demands full attention! Thank you so much for being a talented story teller. I ripped through these novels. I hope you keep writing this series for years. Perfect blend of action, romance, hot guys and honor.